Daizo Mitsukawa was born in 1961 and lives and works in Miki City, Hyogo Province. 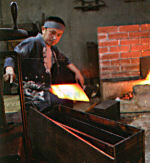 He is one of the younger saw smiths in Japan, and has taken over his father's smithy to carry the tradition into a new generation. Alongside the saws he makes for everyday professional use in traditional crafts, he also makes a very high end line of saws that are almost completely forged by hand. These saws are used in the restoration of important and historic shrines and temples. Using a manufactured saw in this kind of work is seen as a mark of disrespect for the history and tradition of both the buildings and the master woodworkers who have worked on them through the centuries. 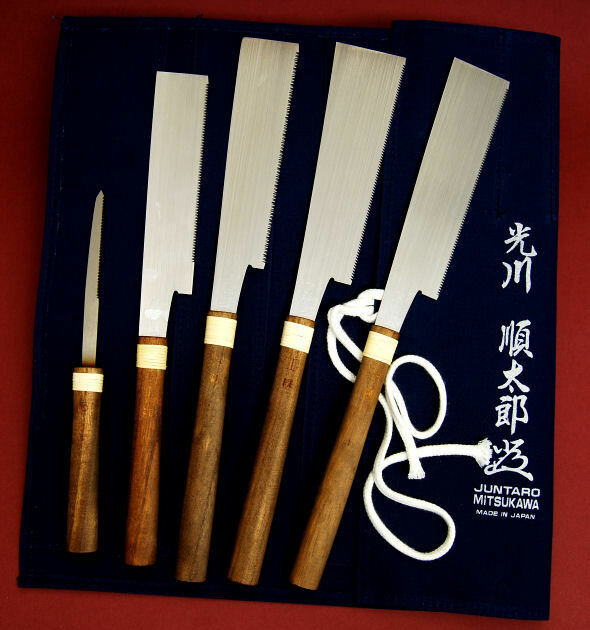 So these fine saws contribute to and are themselves an important part of the cultural heritage of Japan. Mitsukawa saws should not be used by beginners! 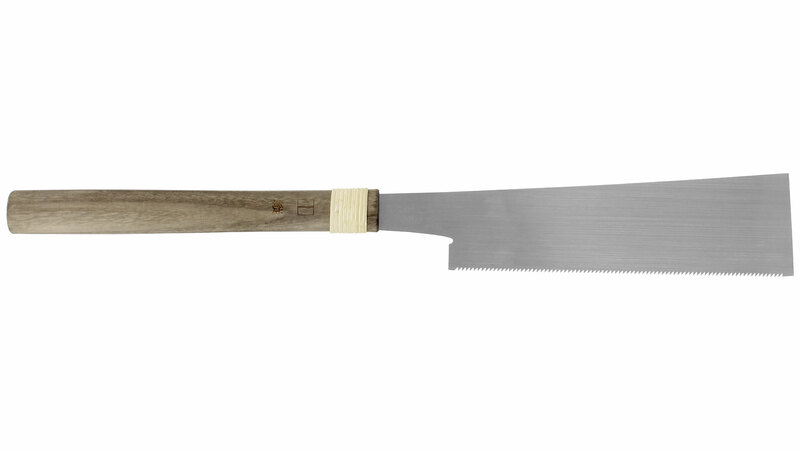 This line of traditionally made and relatively small saws is designed for those working in very fine and small-scale woodcrafts. 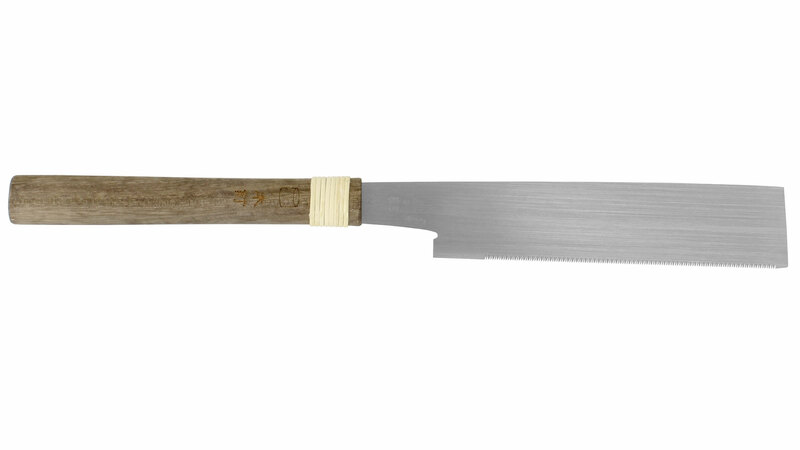 The saw blades are completely hardened and permit a very clean cut in many different applications on smaller projects. In order to more easily differentiate the saws designed to make various kinds of cuts, the handles are marked with symbols indicating their intended use. 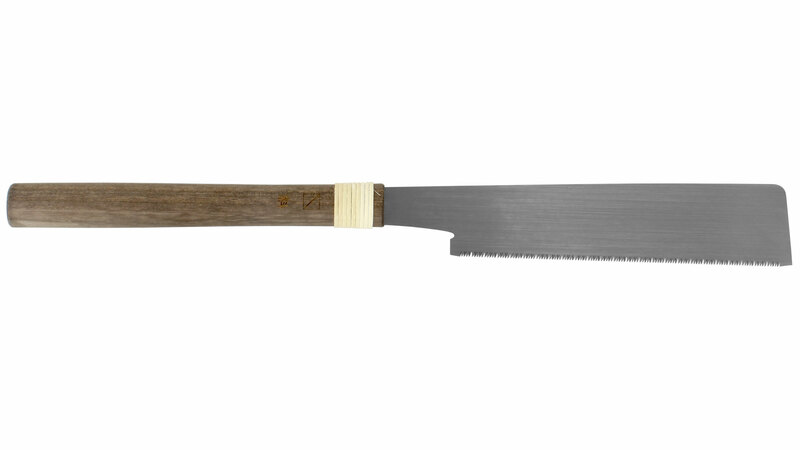 These saws are light as a feather, and aside from their high utility, are also a pleasure for both the eye and the hand. These saw blades were forged by hand. The steel stock is more than 2 mm thick (when finished the blades will be at most 0.5 mm thick), and the only resemblance to the finished product is the pre-cut shank. 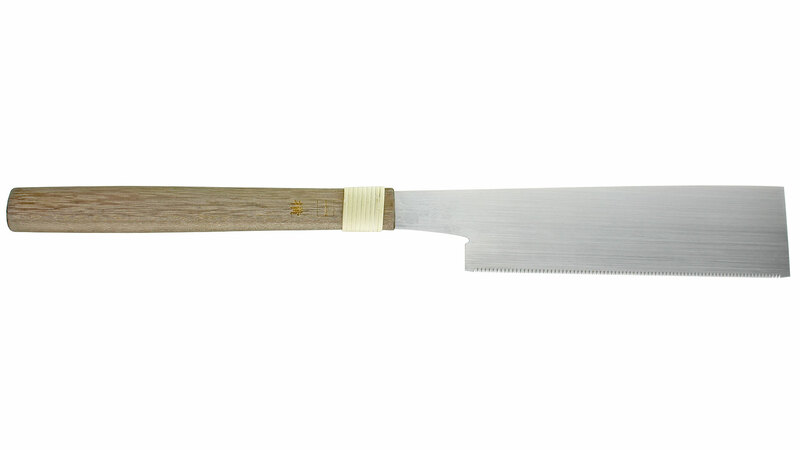 After forging, oil hardening, and tempering, the blades are formed to their final thickness with a metal scraper, a kind of drawknife for metal, to their final size. 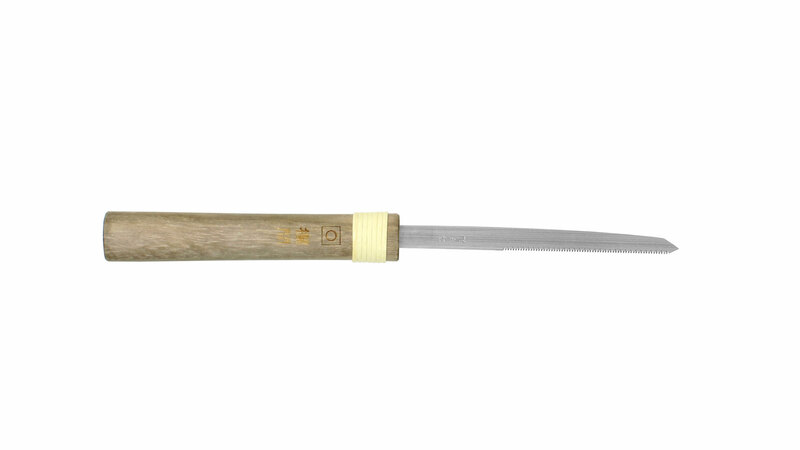 In the Ryoba saws, more material from the middle of the blade is taken off, in the Dozukis material is taken from the back of the blade, so that the thickness of the blade diminishes away from the teeth. This permits an easier run of the blade in the kerf. The teeth are rough ground with a special machine, and then they are filed to their final shape and size by hand. 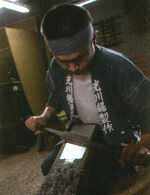 Every blade is then inspected by Mitsukawa for shape and quality, and perhaps given a few extra touches with the hammer on the anvil. Only then is the blade packaged and sent off to be sold.